While their history dates back almost 40 years, Kaipa's most prolific success has occured over the last 14 years. 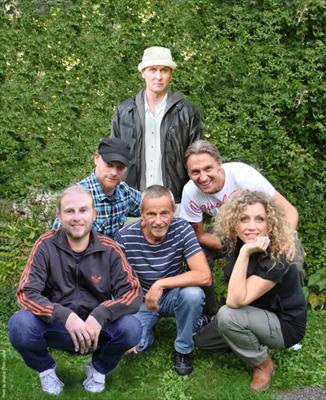 The Swedish band returns with their twelfth album, Sattyg. Once more it's an escape into retro progressive rock of a classic era highlighted by both folk and symphonic elements. You'll find those elements strong in the instrumental title and the beginning of A Sky Full of Painters, which follows. But that latter song is more characteristic of the nature of the whole of this album. The song quickly develops into this hearty guitar driven piece where the riffs and leads seem nearly endless. Underneath the bass and drums power things along as if chasing the guitar or perhaps cheering it on. There are some similarities within A Map Of Your Secret World, but the guitar lines are buffeted by a few lighter vocal moments. Overall, I would call Sattyg a definitely guitar driven album. In this case it reminds me of a cross between a Flower Kings and Transatlantic album, just lighter on the keyboards. Although the synths get there due in middle of Screwed-upness, for example. Additionally, what would a Kaipa album be with out the requisite vocals and vocal harmonies. Patrik Lundstr�m and Aleena Gibson's voices add an often pleasant addition and contrast to ambitious prog within. Essentially, Sattyg is fundamental, creative, and entertaining classic melodic progressive rock from a band that could not do anything less. Recommended. 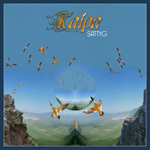 Essentially, Kaipa's Sattyg is fundamental, creative, and entertaining classic melodic progressive rock from a band that could not do anything less. Recommended.